There’s nothing more annoying than that watery, insipid, thin shot. In the middle of service. At 9am on a hungover Saturday morning. With a line of soccer mums out the door. So why does this happen? And how can we avoid it? 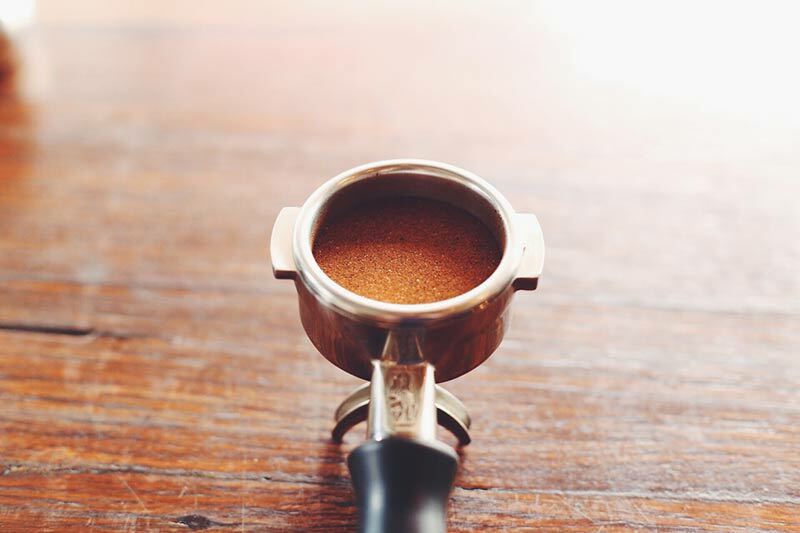 When we’re preparing our shots to brew an espresso we’re aiming for a flat, evenly distributed bed of coffee. This will allow our water to take out all the delicious fats and oils that have travelled in that coffee safely from origin, through our roasters and past our fierce roastworks dudes and into your grubby hands. On a Saturday morning. With a line of soccer mums out the door. Channelling occurs when something is amiss in this preparation process. The water from our espresso machine comes storming out at around 9 bars – a whopping 130 PSI (4 times the pressure in your car tires!!). Because it’s under so much pressure the water will find any weaknesses in the coffee bed that you’ve prepared and will sneak past all of those fats and oils that it’s supposed to be absorbing on the way through, leaving us with an under extracted and often watery shot – a channel. As you’d expect, these shots are not nearly as tasty as their properly brewed counterparts, and there’s a few things you can do to minimise the chance of it happening. An 18g dose in a 22g basket is far more likely to channel than the correct dose. This happens as a combo of two main factors – headspace – the gap between the top of the puck and the shower screen, and particle size – a low dose necessitates a far smaller particle size, leading to more resistance and potential for clumps coming from the grinder. Using the appropriate dose for the coffee and basket you’re using will help you avoid that terror of a watery shot. A properly tamped puck should be even. Think about it – water is lazy and will run down a hill – the same thing is happening if you’re tamping unevenly. The water is going to seek out the easiest place to get through the puck and you’ll leave behind a large portion of those lovely flavours you’re looking for. In ye olde days people adopted this habit of tapping the side of the portafilter with your tamp, to make the surface of the puck look nice and clean without realising the effects it has on extraction.Tapping the side of the handle is cracking and fracturing the puck – you can see this around the edge where it dislodges your coffee from the side of the basket. Tamping again won’t solve this problem and you’ll be left with channelling.